Create customised courses by assembling content that works in sequence for a more fluid and effective learning cycle...Ensure timely access to training or learning material by scheduling the date you wish to share your course content. A simple notification on users’ activity feeds then lets them know that your course is online and available to use. Flashcards app lets you easily design, create and share your own resources, as well as view, copy and edit the millions of resources created by other users too. Mind Maps app lets you create and edit stunning mind maps in minutes. Simply tap the screen to create a node, then drag it to where you want to place it. The GoConqr Quizzes app for Android and iOS lets you create awesome Quizzes from your mobile device so you can easily share them with friends, or challenge yourself by taking countless Quizzes created by other users. Slides Maker app lets you seamlessly integrate text with a multitude of media such as images, video, external links, and other GoConqr resources. 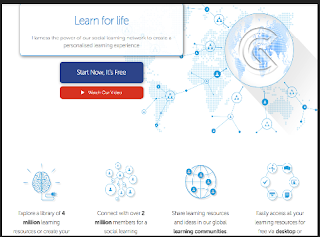 Have relevant learning resources suggested just for you"